Good morning my friends I wish you a happy day. I also wish you a day full of profits. Today I am updating my journal. Today I entered a good deal and sold the pair USD CHF. And now I explain to you the technical analysis of the husband. 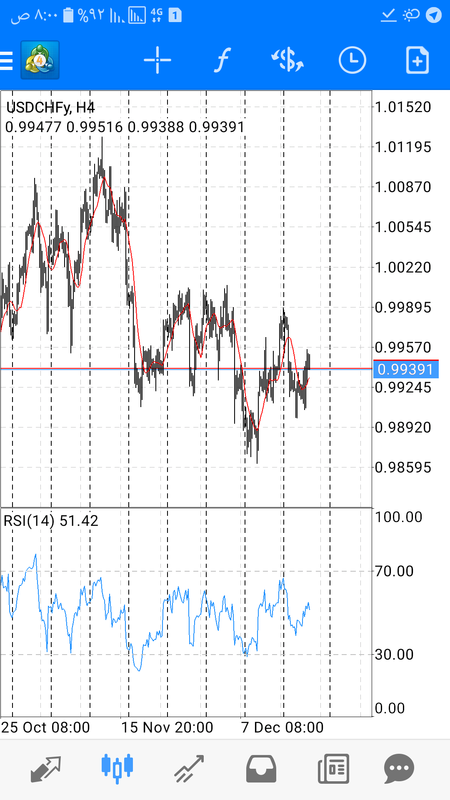 The pair of USD CHF found strong support at the 0.9900 level, forcing it to rebound upwards and bypass the downward correction of the corrective channel, but the downward corrective trend still stands at a steady price of less than 0.9990, and the price to break the said support is required to confirm the target of 0.9835 as the next corrective target. USD / CHF is attempting to breach the 0.9960 level and the price within the descending channel is stabilizing while SMA 50 continues to pressure the pair negatively, accompanied by negative signals from Stochastic. We believe that opportunities are available to breach this level and open the way towards 0.9835, The continuation of the expected decline depends on stability below 0.9990. The USD/CHF currency pair has been trading in a descending channel pattern during the past six-week. During this period, the pair re-tested the upper boundary of the descending channel pattern. Good morning to all members I wish you a happy day and a lot of profits. Today I am updating my journal. Almost a week ago you analyzed a pair USD CHF. I indicated that the pair was falling. This analysis has now been updated and the pair is being sold again. The pair of USD CHF managed to reach our second expected target at 0.9835 after the strong decline yesterday, where it achieved a strong break for the level of 0.9900, and the price falls under constant negative pressure coming from the moving average 50, which supports the chances of continued decline within the downward correction channel shown in the image. For USD / CHF I see the pair trying to test the resistance at 0.9951 and if breached it will go up to our first target at 0.9991 and then 1.01. And the pair has a strong support at 0.9839 if the pair is able to change the direction down to 0.9743 and then 0.9559. This is my point of view was injured or wrong Always advise caution and enter the market professionally and put a stop loss order always to avoid losing the head of the owner. Good morning, my friends. I wish you would be in good health and I wish you continued success. Today the market is open but I think the movement will be very weak because of the new Year's holidays. So I prefer the rest until the end of these vacations. And there's a chance today on the GPB pair of JPY. I will enter the spouse's purchase after the leave. 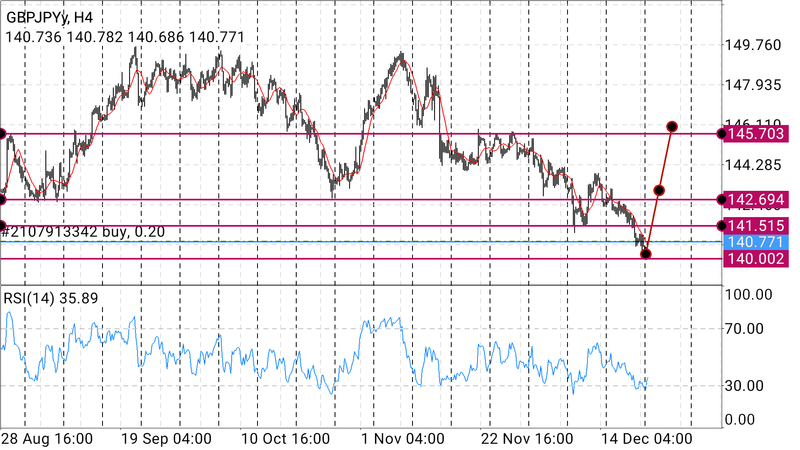 The pair reached the 1.4010 level which is a strong support point and the pair could not penetrate this area and closed it with a candle four hours, so I expect the pair to rise to the targets shown on the illustration. I wish good luck to all. The following 2 users say Thank You to elmister for this useful post. Hello elmister, market's movement was not very weak as we were expecting due to Christmas and December holidays. Anyway, it will be good for us to avoid the trading activity this week because we can see uncertain movement anytime. The pair GBPJPY made bearish movement last week and you are right that it should make some bullish movement now for correction, but I will suggest you to stay away if market doesn't follow the technical or fundamentals due to the end of the year. The following 3 users say Thank You to Fizzaa for this useful post.